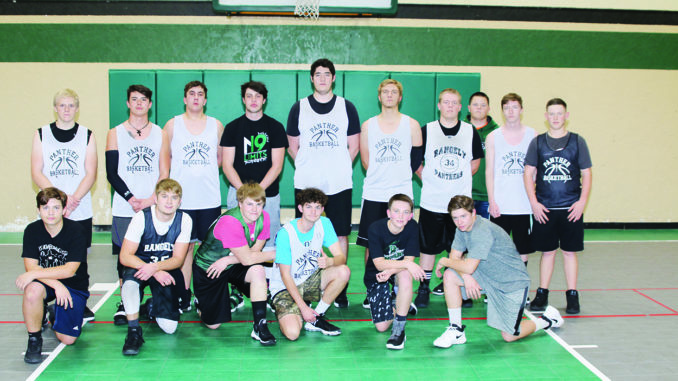 RANGELY | The 2018-19 Rangely High School boys’ basketball team will have a different look this year as the Panthers graduated five seniors, all starters, in 2018. Fortunately for the Panthers they have eight new seniors returning from last year’s varsity squad, six of whom were key components of the state-playoff football team. According to head coach Kyle Boydstun, this year’s squad features more big men as the Panthers will be looking for guards to fill the void left by last year’s seniors. “With the large turnover across the league I feel like we can still compete well. We may have to play a different style to accommodate our personnel and we’ll have to adapt offensively, but I feel like our defense and toughness will continue to be a strength,” stated coach Boydstun. The Panthers will play Rifle at 4:30 p.m. Dec. 6 at the White River Cowboy Shootout.